Preppy Pink Crocodile: Be My Beau! 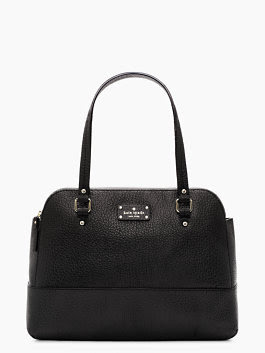 I'm suddenly obsessed with finding the perfect bag. And I guess I haven't been closely paying attention to purses the last few years because girls...there are some really pretty pieces out there these days! Did you know? You probably did. Y'all are far cooler than I am. But now I'm all about it. I can't stop the search. 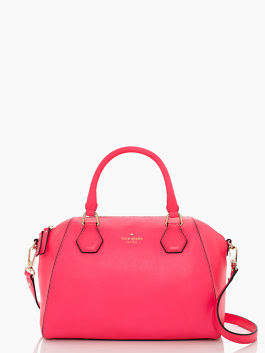 Earlier in the week I fell in love with the Kate Spade Beau Bag. I love the size- I like a big bag. I love that it's sturdy (I'm sorry, but y'all's love for Longchamp floppy bags baffles me). I love love love that the design is a bow and yet super understated at the same time (I am really in a bow loving phase at the moment). It's just the perfect bag. I just completely love the Beau Bag! I love the Beau best in black. I actually first spied this bag below, which I really like. But then I met Beau. And well...all bets were off. Beau's a beaut! Grove Court Lainey is pretty too! And while I am not quite as in love with this one as I am the Beau, I think the color is fabulous. And the name, Catherine Street Pippa, is rather obnoxious and funny. 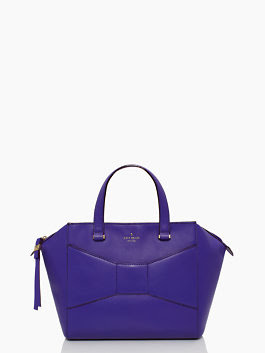 Oh man, love that Beau bag... gonna have to save my money to buy one. It comes in so many beautiful colors. Thanks for the nice comment on my blog, figured I should check yours out as well. You have some really great posts, excited to follow you full time! Beautiful bags!!! nice blog! would you like to follow each other with GFC and Bloglovin?